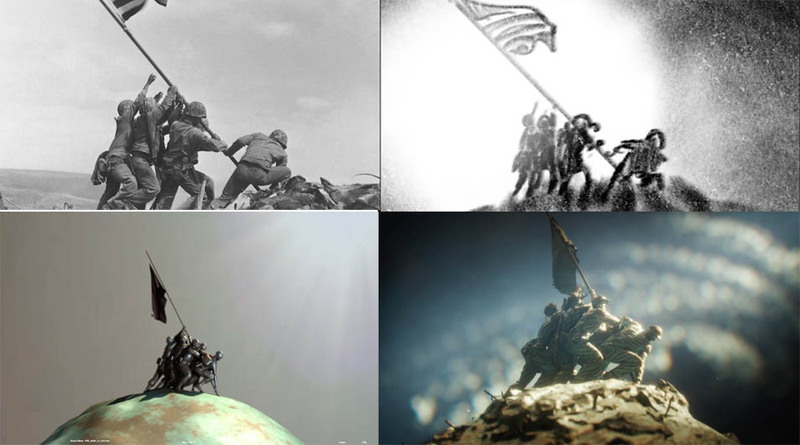 The Mill recently joined forces with J. Walter Thompson Atlanta to create a fully CGI spot for the United States Marine Corps titled Anthem. Directed by The Mill’s Executive Creative Director Ben Smith, Anthem celebrates the past and inspires the future through a series of epic moments of heroism immortalized in CGI by a team of VFX artists. Although completed within CGI, the spot is cinematic in style, employing traditional camera movements, focus, lighting and texture within the CGI environment. The CG team approached the workflow a little differently on this spot, fusing the models together during the final stages of sculpting and adding in fine detail to add to the cast bronze aesthetic. This altered the asset count per scene, meaning the team had to retain flexibility with how each model was piped into lighting. Each model was exported as a high-resolution mesh from Z-Brush and loaded into the lighting scenes using The Mill’s procedural system in Maya. In addition, a procedural approach was taken when shading and texturing the models, due to the sheer quantity of sculpting. Depth-of-field for each shot was rendered in camera due to the cinematic camera movement through the bronze tableau, which prevented layers from being split and focus tweaked in the compositing stage.